WARF’s Managing Director, Erik Iverson, discusses innovation, commercialization, and his organization’s contributions to the Wisconsin Idea. Military veterans, like Aberdean Consulting’s Jim Blair, strengthen the Madison region’s workforce and often contribute significantly to their communities. Stimmi, an app for parents of kids with disabilities, launched in a little over a year’s time thanks to support from Madison’s entrepreneurial community, including Bunker Labs Wisconsin, located at URP. Exact Sciences shares hit new all-time highs in after-hours trading Monday after the Madison cancer test company released third-quarter results well above analysts’ expectations. FluGen Inc. has been awarded $14.4 million through the DOD’s Congressionally Directed Medical Research Programs Peer Reviewed Medical Research Program’s (PRMRP) mechanism to conduct clinical challenge-studies against mismatched influenza strains with its lead universal flu vaccine, RedeeFlu™. The Madison region is vying for a chance to house Amazon’s second headquarters — one of more than 100 communities across the U.S. hoping to land the online retail giant and its promise of 50,000 high-tech jobs. The University of Wisconsin–Madison community lost a significant figure with the passing of Dr. Mark Cook. Dr. Cook, whose research yielded advances in human health and food production, held 40 patents and founded three startups, including Ab E Discovery. 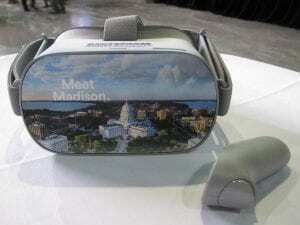 Representatives from 88 businesses visited the University of Wisconsin–Madison campus Wednesday to learn how to get ahead by tapping UW–Madison resources. The “Drones & Cones” event at URP highlighted how drone technology can enhance entrepreneurial efforts. 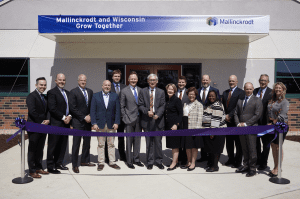 Expansion of Operations and Manufacturing Facility for StrataGraft® Regenerative Skin Tissue in Madison, Wis.
Keep up with URP! Sign up for our email newsletter to keep up with special events and important announcements. © University Research Park - UW Madison. All Rights Reserved. Website design by Makin' Hey!